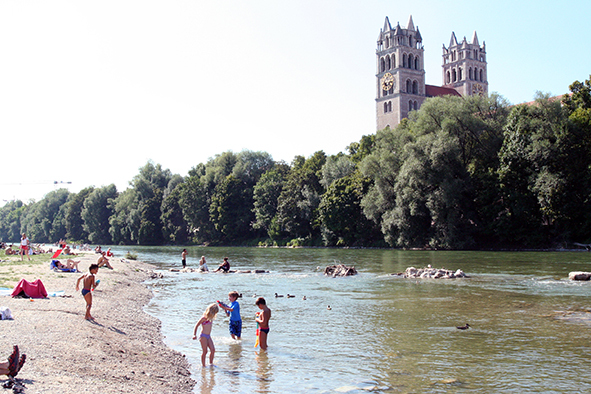 Isar Plan: The Wild as the New Urban? In the eighteenth century, Rousseau praised the beauty of the wild and untamed, and twentieth century environmental movements celebrated the healing effects of wilderness on the human soul. But while Romantics and later Environmentalists sought salvation away from the city – ‘into the wild’ – it is now the wild that is conquering the city again, becoming a sign of urban elegance and “coolness”. Improvised rather than planned, claimed rather than given, the contemporary urban open space seems to reverse the old antagonism that opposed the tamed, exploited and orderly (the “policé”), to the dangerous, purposeless and amorphous – the savage originating from the dark sylva and the northern wastes. A new essay to read on the webpage of Contour, the interdisciplinary peer-reviewed journal initiated by PhD students of the Architecture and Sciences of the City doctoral school (EDAR) at the Ecole Polytechnique Federale de Lausanne (EPFL). Le risque naturel, catalysateur de promesses ?